Forgive me for being away for a bit, I been working on projects that I'll be happy to reveal one in the next two months! As you can see the today's look I'll be steaming up my blog and showing more skin. Ha! Los Angeles weather is already pretty warm all year round and with summer approaching it'll probably be scorching hot. I will need to keep myself cool during these warmer days and I know just how to do it! 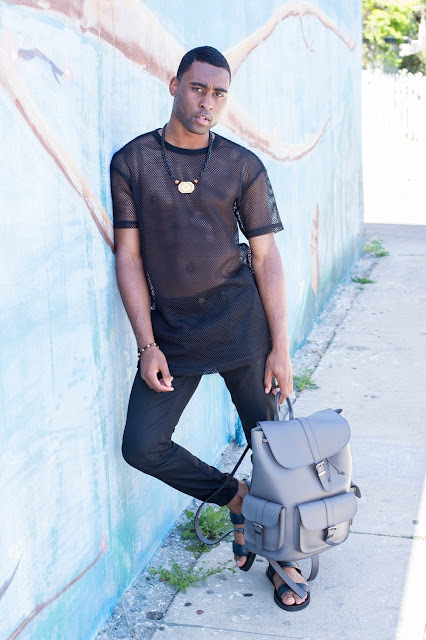 I usually wear tank tops but for the first time purchased a "see through" Mesh Shirt like on today's blogpost. I was hesitant at first, I didn't know whether I should get the shirt because of what people might say. Since it's a pretty revealing shirt but then suddenly I thought "I don't care". Why should it bother me? 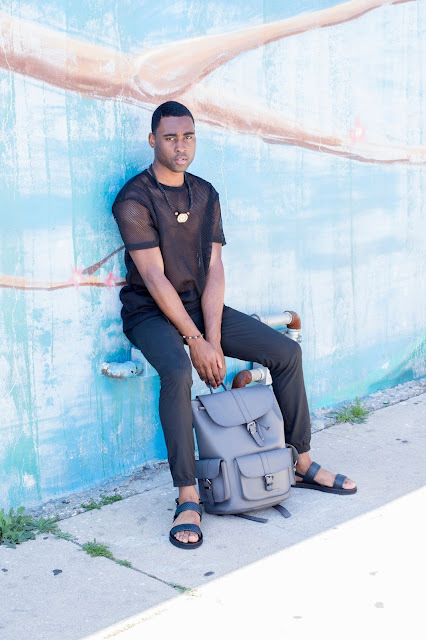 I enjoy my skin and feeling comfortable is an important aspect to my style. 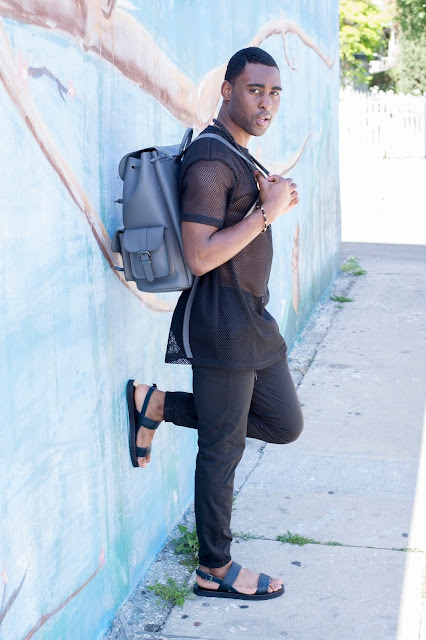 I topped this look off by wearing my skinny joggers and I thought they'd look great with the tank top and sandals.All black clothing will always be instyle! 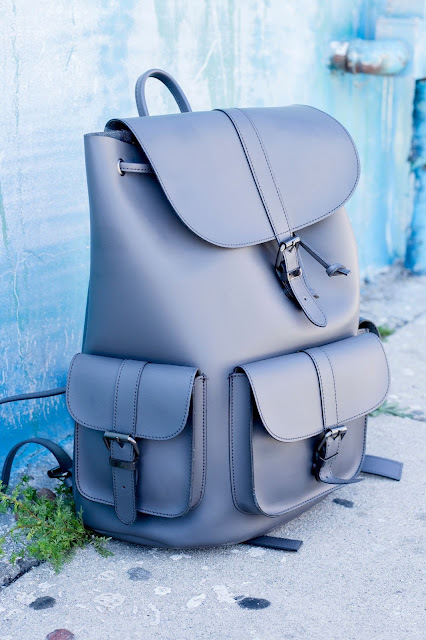 The backpack was love at first sight!